The Advanosys team has supported clients of virtually every type and size possible throughout the United States. 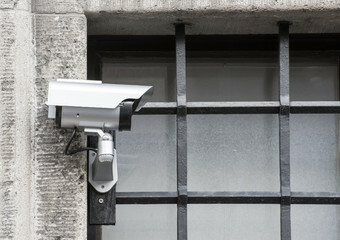 From the most secured federal facilities to large retail, correctional facilities and related institutions along with law enforcement, universities and K-12 entities, to the standard businesses found on every main street; residential clients from the largest estate and historic properties to multi-family condo and single-family homes. With this level of hands on experience, we’ve gained substantial expertise to assist in supporting our clients’ unique security, automation, life safety and disaster prevention needs. Our experience and innovative technology solutions meet the most unique needs of both correctional facilities and the law enforcement world. Life safety requirements, staff safety and high-security needs are paramount. From body worn – wearable video to the most hardened equipment for video monitoring, communication and system controls, we work with world-class manufacturers to meet our clients’ needs. 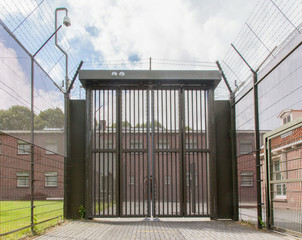 Exterior and perimeter security platforms, elaborate vehicle and personnel inspection equipment, K-rated vehicle controls, high-security perimeter barriers, fiber intrusion detection and managed lighting platforms, we are available to meet our clients’ unique needs in the corrections environment.